After “routine” TSA screening, one passenger says: never again! Editor’s Note: The following post concerning a recent TSA screening uses anatomical terms to describe reproductive organs and may not be suitable for all audiences. Posted in Encore, That's Ridiculous! Tagged AIRPORT SECURITY, ENHANCED PAT-DOWN, PAT-DOWN, TSA, TSA SCREENING FAIL, TSA SCREENING OR ASSAULT?, UNPLEASANT TSA SCREENING86 Comments on After “routine” TSA screening, one passenger says: never again! If you’re afraid a TSA agent might bungle your screening when you fly somewhere this summer, maybe you should do what John Klapproth did when he was traveling from Seattle to Anchorage recently. Like many air travelers, Klapproth declined to use the TSA’s full-body scanner, and was sent to a holding area for an “enhanced” pat-down. Travelers love to complain about the TSA, and even though the agency assigned to protect America’s transportation systems claims to listen, most of us know better. Don’t believe me? Try sending the agency an email, complaining about your last pat-down. Do you hear the sound of crickets? Me too. But now a court has ordered the TSA to listen, and to pay attention — and maybe, if we’re lucky, to do something about it. 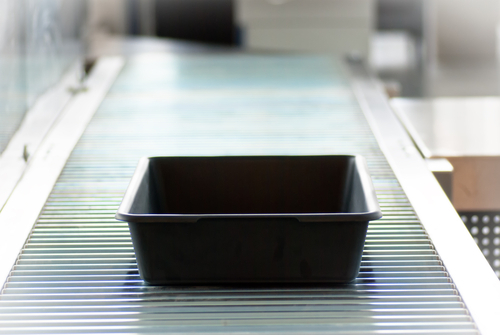 The U.S. Court of Appeals for the District of Columbia Circuit has ordered the TSA to engage in something known as notice-and-comment rulemaking on its screening procedures, and specifically its use of full-body scanners. You can leave your comment at the Federal Register website until June 24th. Is there a better way to screen airline passengers? If you look enviously at the TSA Pre-Check line whenever you’re at the airport — where pre-cleared air travelers breeze through the checkpoint without having to be scanned, remove their shoes or face a humiliating “enhanced” pat-down — then join the club. If you ask yourself: “What sets them apart from me?” and the answer is, “Nothing, really,” then you’re well on your way to answering a question that has haunted aviation security professionals since 2009. 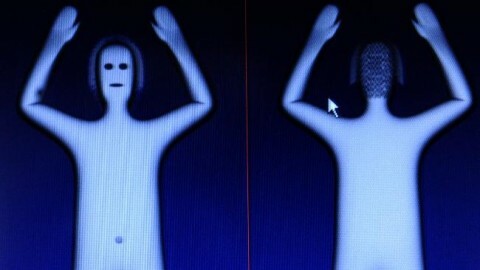 Is there a better way to screen air travelers than scanning them? Posted in Security Tagged LISTEN, PAT-DOWN, ROUTEHAPPY, SCAN, TSA217 Comments on Is there a better way to screen airline passengers?